The Tamil National Alliance (TNA) says it will vote in favour of the No Confidence Motion to be brought against the Government headed by Mahinda Rajapaksa who has been “unconstitutionally and illegally” appointed as Prime Minister. 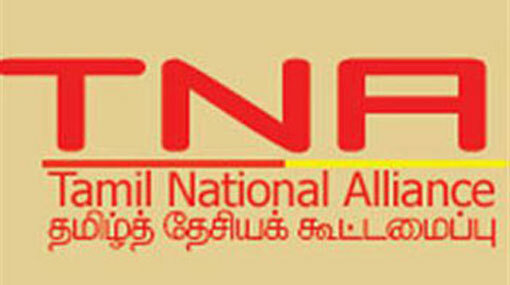 The Party Leaders’ meeting of the constituent parties of the Tamil National Alliance took place at 5 p.m. yesterday (2). 2. The Tamil National Alliance also considers the President’s decision to prorogue Parliament made following the above actions as undemocratic and in violation of Parliamentary Supremacy. After having declared as Prime Minister a Member who does not command the confidence of Parliament, this had been done in order to create delay and prevent such Member from having to prove a majority in Parliament. The Tamil National Alliance strongly condemns and opposes the undemocratic efforts to use such delay to bribe Members of Parliament with both money and Ministerial posts to induce them to cross over in order to fraudulently obtain a majority in Parliament. We strongly oppose and condemn Tamil National Alliance Member of Parliament S. Viyalendran being a part of this conspiracy. Necessary action will be taken against him immediately. 3. For the above reasons, the Tamil National Alliance will vote in support of the No Confidence Motion to be brought against the Government headed by Mahinda Rajapaksa, who has been unconstitutionally and illegally appointed as Prime Minister. Remaining “neutral” in such a situation, would pave the way for achieving an undemocratic end by force.